This is it. This is the end of Hugh Jackman as Wolverine / Logan after 17 years. Being an actor famous for a superhero character ain’t easy. Fans and audience will channel their hopes from the hero to you. You are supposed to be invincible and indestructible. I always wonder what would be a proper way to end the “adventures” of a superhero. Do you just reboot them like how one change from Tobey Maguire to Andrew Garfield to Tom Holland? Or do you simply stop them like Ryan Reynold’s “Green Lantern“? Director James Mangold did it perfectly in a compelling manner. I don’t think anyone will doubt Hugh Jackman’s acting as Logan nor Patrick Stewart as the now-feeble Charles Xavier (aka Professor X). With a slight plot resemblance to Jack Reacher: Never Go Back, Logan was unwillingly handed a rebellious girl and told that it is her daughter. No longer the almighty hero, Logan had to juggle and struggle with things like a normal man. Not only was his physical health declining, he had to take care of dementia-addled Charles Xavier, earn money as a chauffeur as well as try not to kill with his Adamantium claws. The relationship between the young, the old and the broken was well-played and each individuals’ inner demons added layers to the performance. I was captivated by 11 year-old Dafne Keen’s spectacular performance as Laura aka X-23. She gave life to the mostly-silent character through that pair of expressive eyes. She’s guarded, she’s ferocious, she’s broken yet innocent. She’s extremely loyal to Charles, and I can’t help but be touched by that very human and vulnerable side of X-23. If you are tired of computer-generated effects and haven’t got enough of John Wick: Chapter 2‘s action, the fight choreography plus M18 bloody gory scenes here might give you some adrenaline. Not saying Logan has better action sequence than John Wick, but the kick you get out of watching him and young X-23 slice off the antagonists’ head and limbs is pretty similar to watching John Wick take down his enemies. However, for all it’s merits, I did personally find something lacking from the masterpiece that is Logan. The characters are all extensively developed and explored emotionally in great depths. The antagonists, on the other hand pales vastly in comparison. The henchmen like Donald Pierce (Boyd Holdbrook) are decked in generic and forgettable military fatigues, whilst the leader among them adorned with a mechanical prosthetic limb fails to make an impression. And as for the mastermind behind the entire operation, when he is revealed, he seems to be a cardboard intellectual character, that was disappointingly one-dimensional and unimpressive. In a film centered upon believably damaged but lovable and deeply relatably flawed characters, the flatness of the antagonists leaves a bland aftertaste. These generic baddies don’t convey strong motivations of their own and fail to draw genuine emotions from the audiences, especially if the audience isn’t a fan of the superhero. After all, a hero is only as great as the villains he conquers is he not? And while I understand this isn’t focus of the film, I can’t help but wished for a respectable villain worthy as the final foe for our beloved clawed caveman. So with that as my final verdict, I will love to know what you think of the movie too! Patrick Stewart lost 21 pounds to play Charles Xavier as elderly and sick. Stewart claimed that he had a steady weight since he was a teenager and had never deliberately lost weight before. 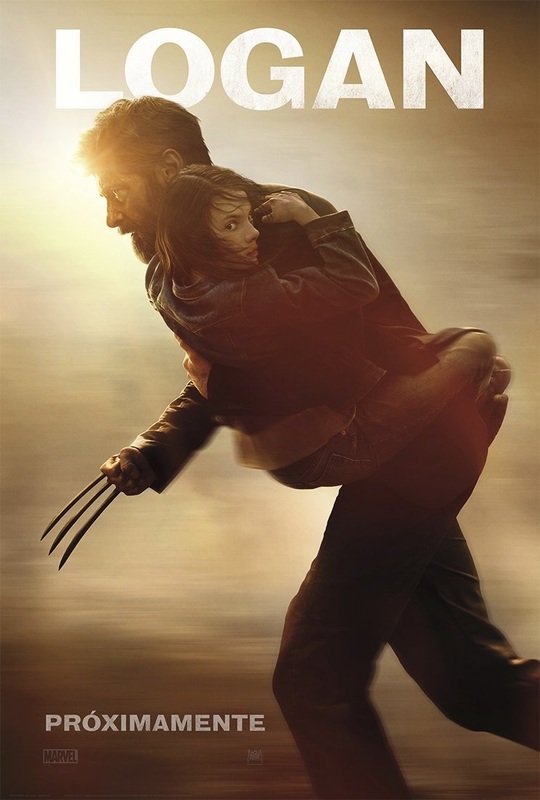 Hugh Jackman genuinely held Stewart in all the scenes of Wolverine carrying Dr. Xavier. The comic books that Logan flicks through in the film are not actual old issues, the artwork was created by Dan Panosian specifically for the movie. The trailer includes the Nine Inch Nails song “Hurt” performed by Johnny Cash. James Mangold, this film’s director, directed the Johnny Cash biopic, Walk the Line (2005). When asked why he chose the song for the trailer he said “It was to set itself apart from other superhero movies”. He has revealed that Logan will have a more “human” feel to it as it focuses on an old and hurting Logan in the future where the mutants are dying off, it also rely very little on CGI and green screens. It is the 10th Feature Film of the X-Men Series. It does not have a Stan Lee cameo nor an end credits scene. In the scenes where Charles Xavier suffers from his seizures, Hugh Jackman did not act as if he was being pushed away. Instead, he was held back by a rope pulled by two men (in the opposite direction) in order to give a more realistic portrayal of being restrained as he walked down the hallway. Check out Logan (2017) Official Website and Facebook Page! Logan (2017) is out in cinemas on 2 March 2017. Oh god, you failed to catch the irony behind a young and virtually beastly x-24 a version of himself as the real villian of the movie. It it fitting that he is killed by his doppelganger, a clone and very much his son. The movie equivalent to Frank Miller’s renowned comic book The Dark Knight Returns, this entry in the X-Men series is amazingly moving and grown-up, elevating the superhero genre to new heights. My Hubby and son decided to go for this movie but according to them it was an average movie and seems they had more expectations. I am a fan of Hugh Jackman and I am kinda sad that this would be the last installment of his Wolverine role. I thought this would get a higher review rating too. It’s nice that they really didn’t go conventional superhero movie in this one. This gave Logan and Professor X a good farewell. I rated this film higher than you. I also felt that the villains were the weak link. I want to see Hugh Jackman and Patrick Stewart nominated for Oscars for their acting performances. Sounds interesting for the audience who like these movies. I’m not a big fan of superhero movies, so I didn’t feel like going to watch this movie.